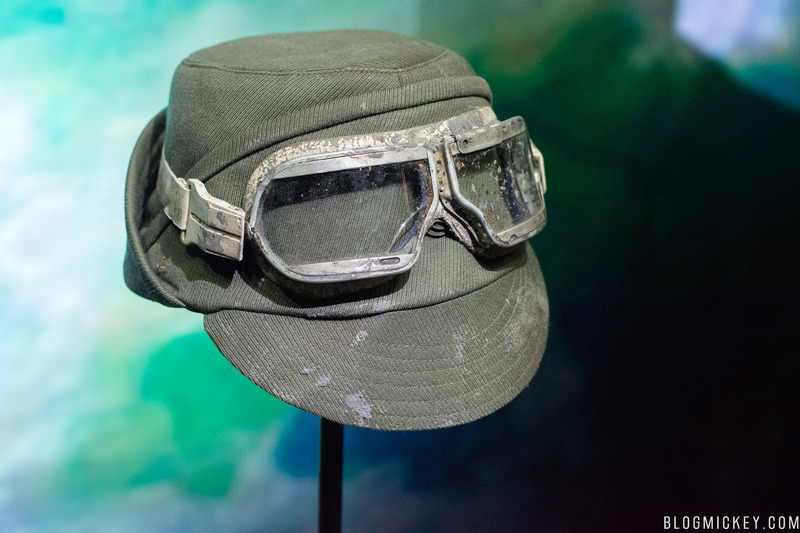 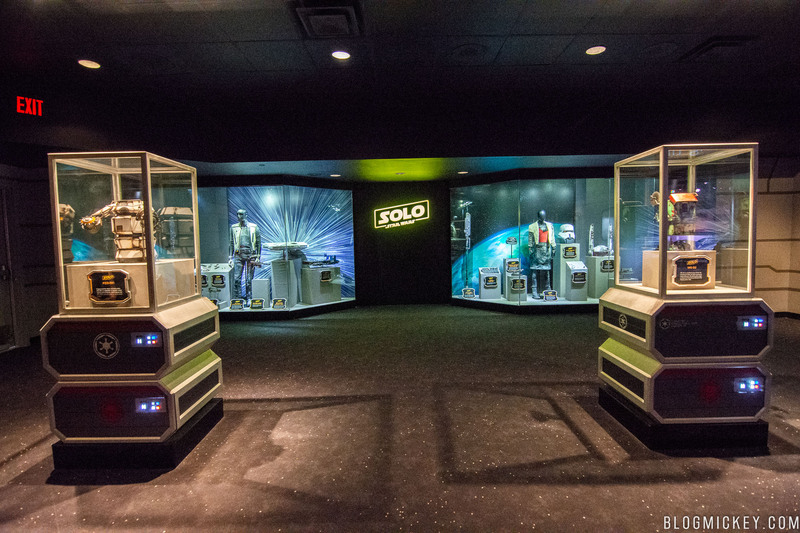 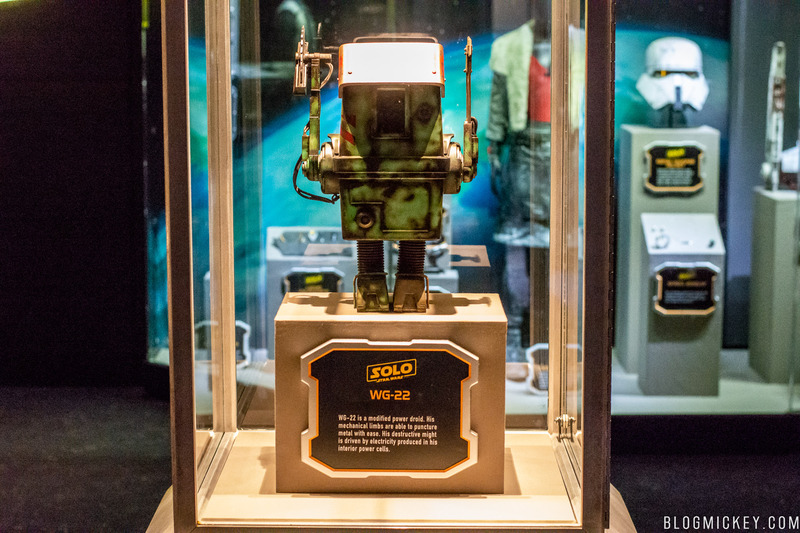 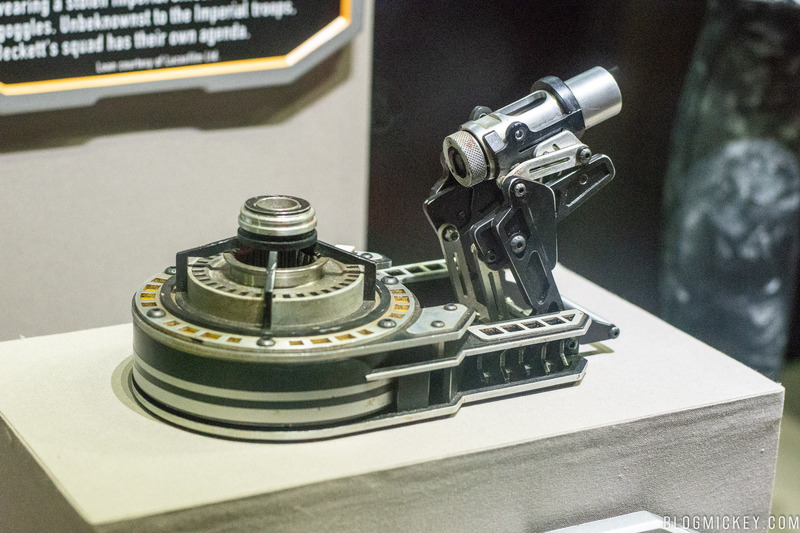 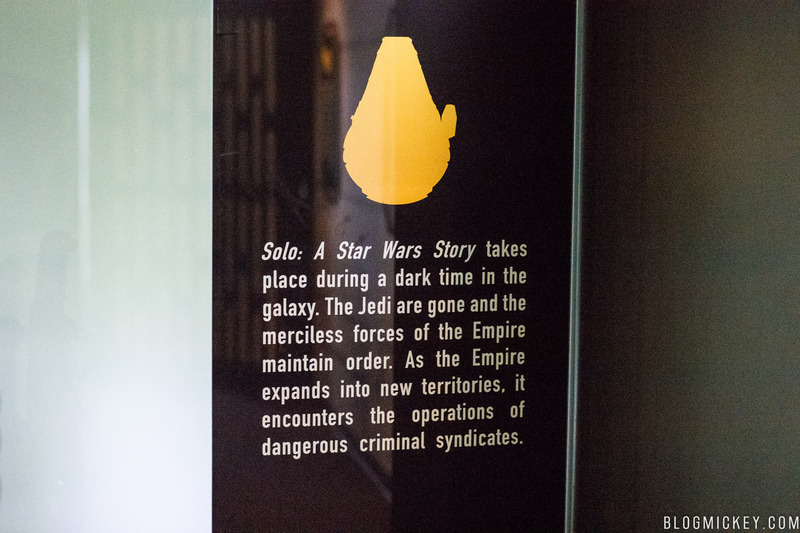 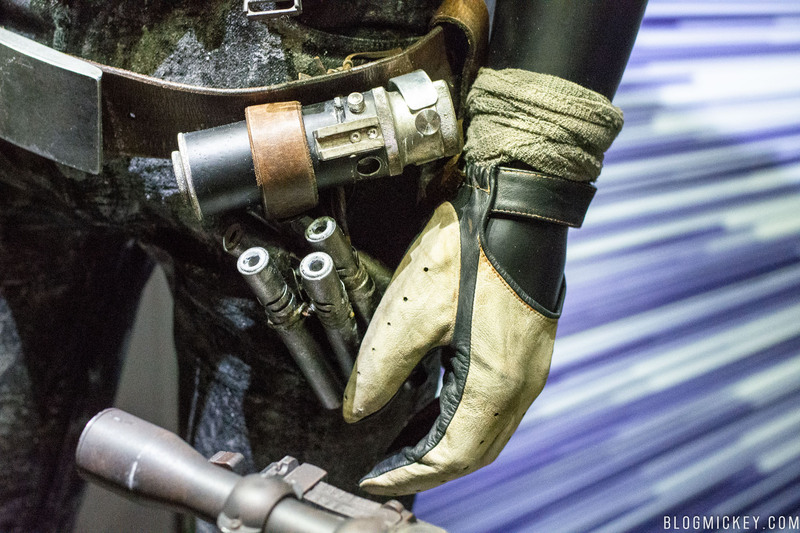 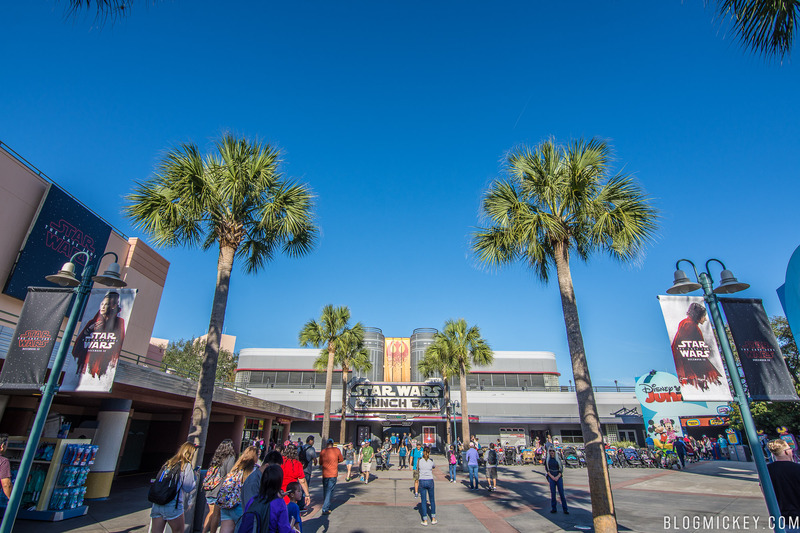 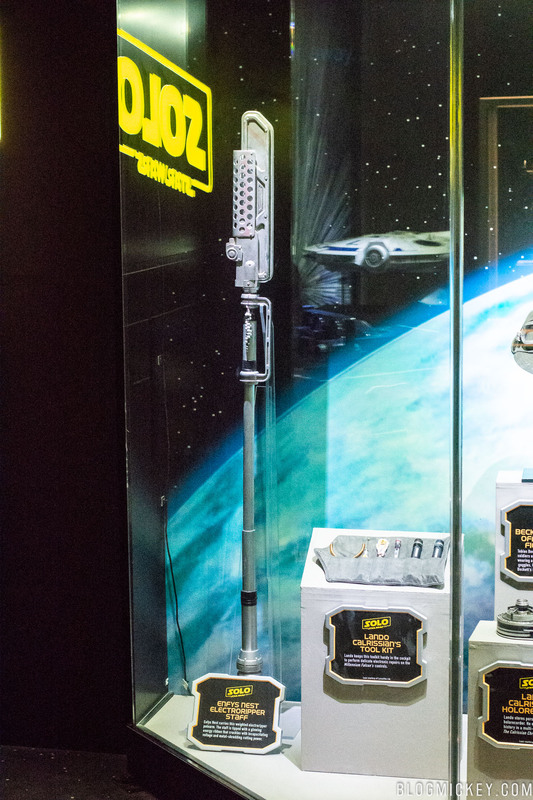 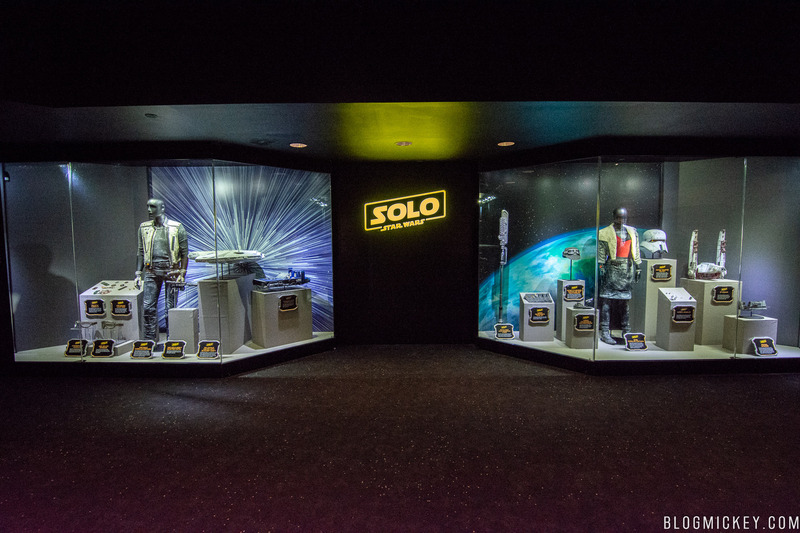 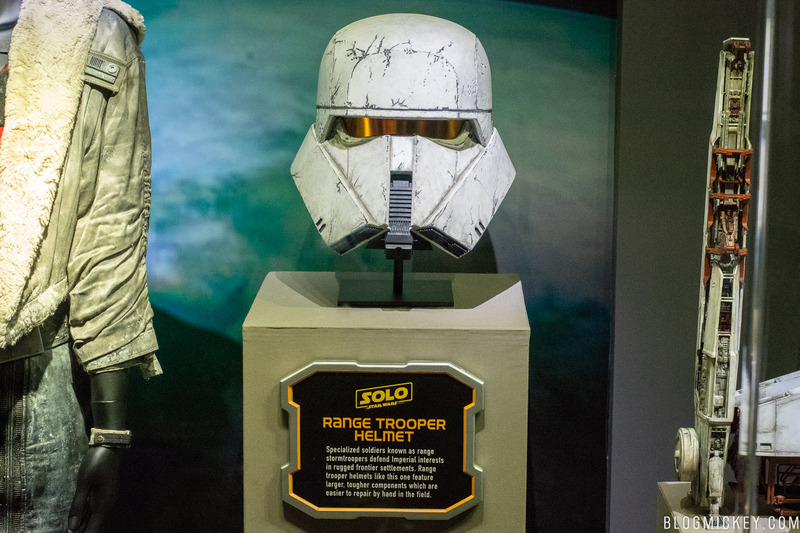 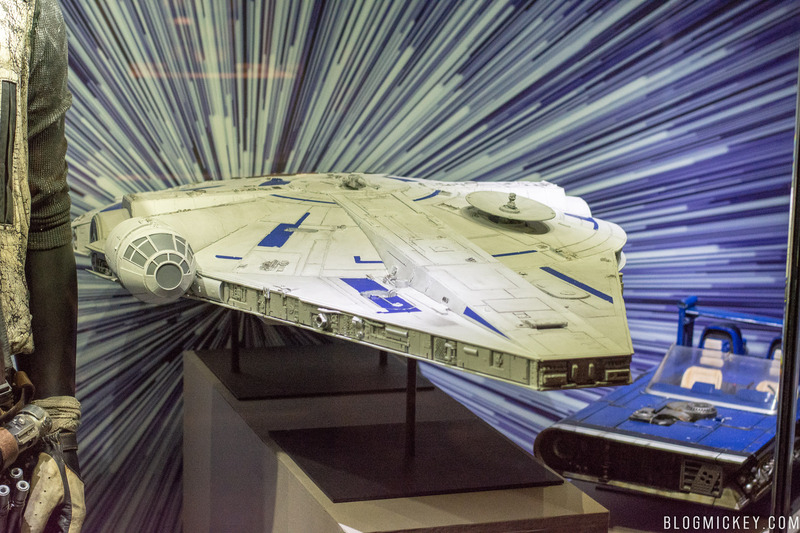 The Star Wars Launch Bay is now hosting a variety of movie-used props and replicas from Solo: A Star Wars Story. 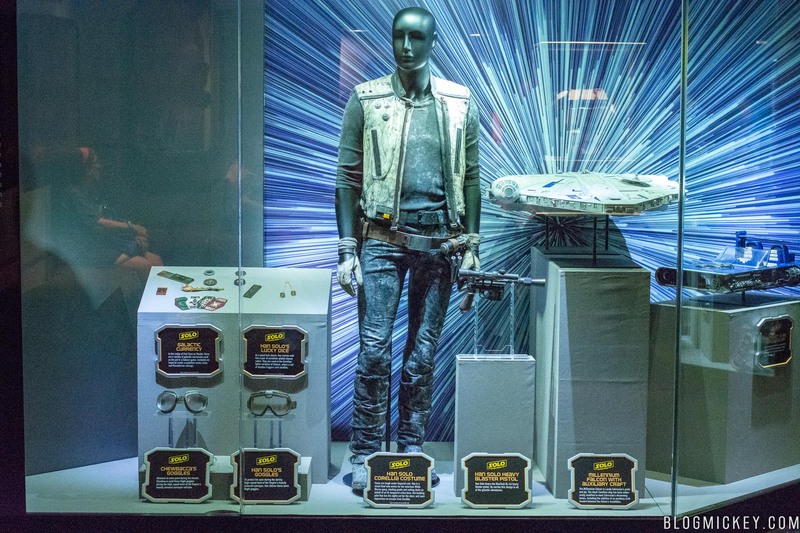 There are quite a lot of movie-used props compared to displays in the past. 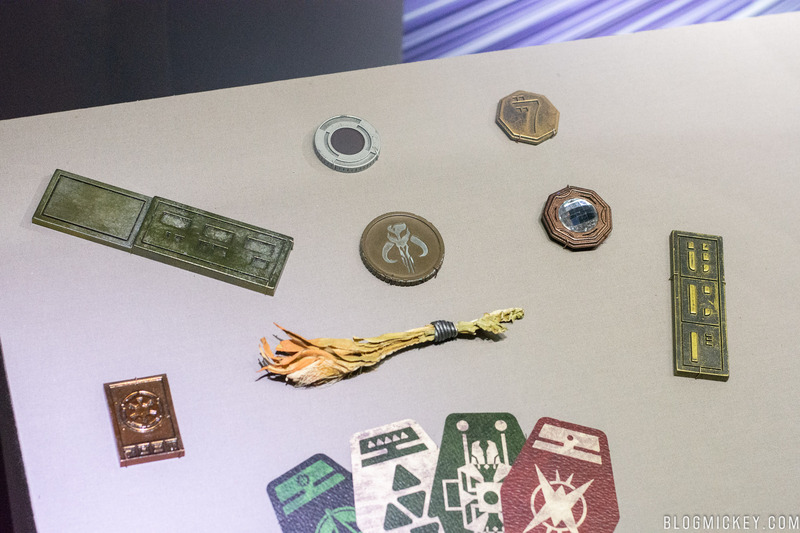 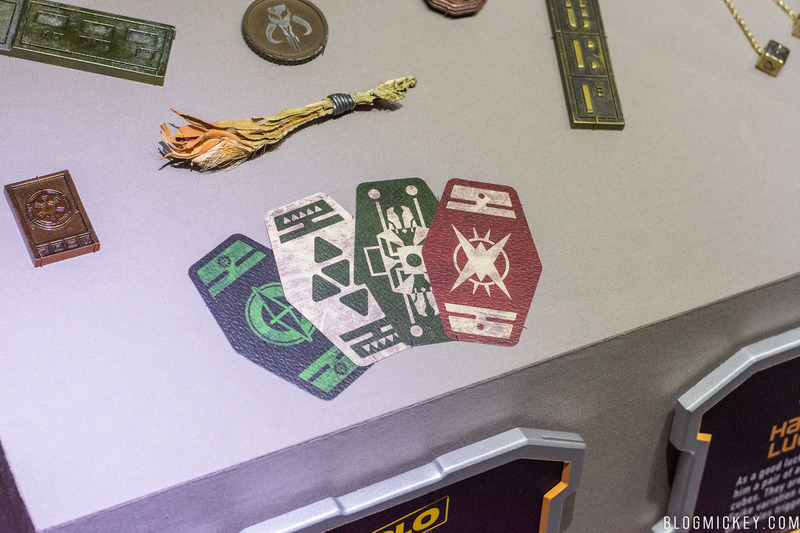 Guests can find Galactic Currency used not only across the galaxy, but also in a Sabacc game in the Lodge of Fort Ypso on Vandor. 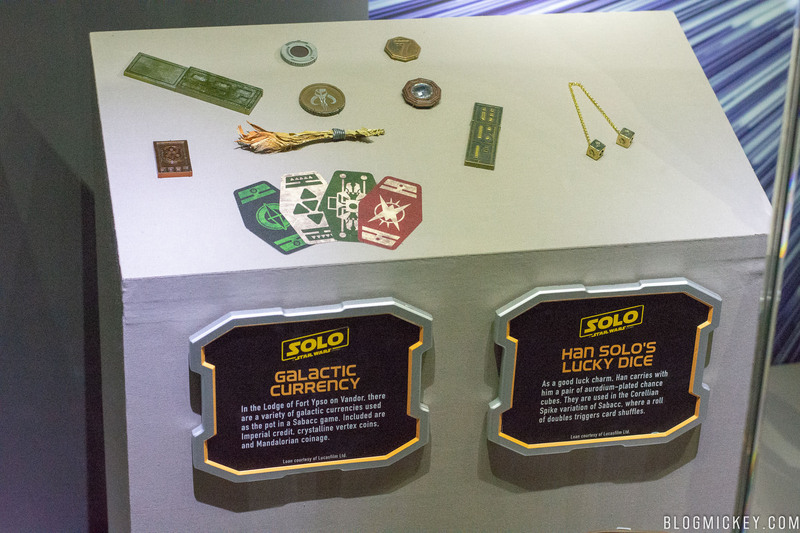 Along with the currency, Han Solo’s lucky dice are on display. 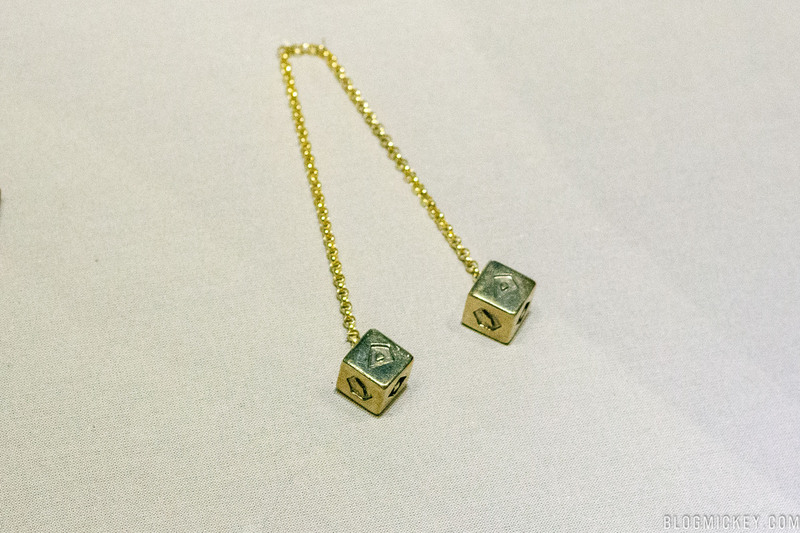 These aurodium-plated chance cubes are seen a few times throughout the movie. 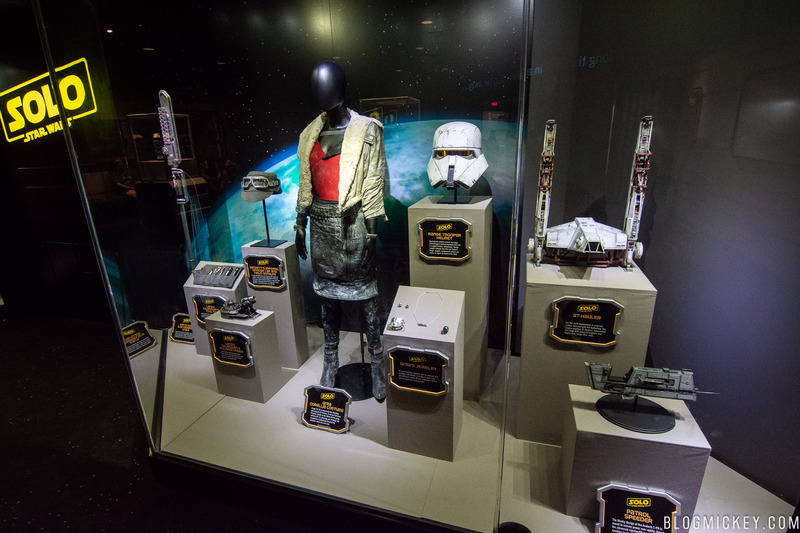 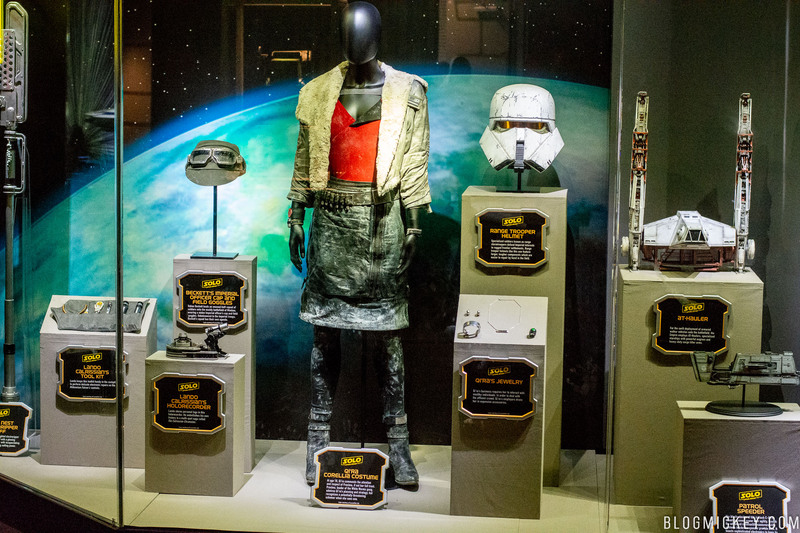 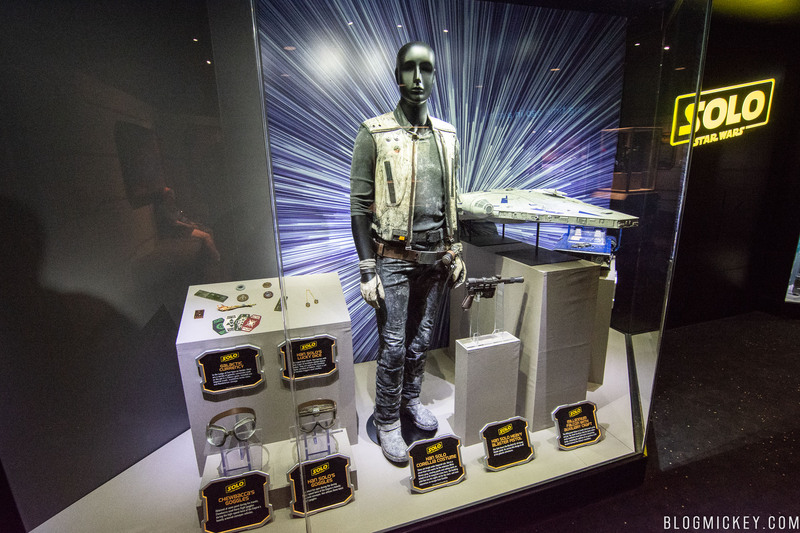 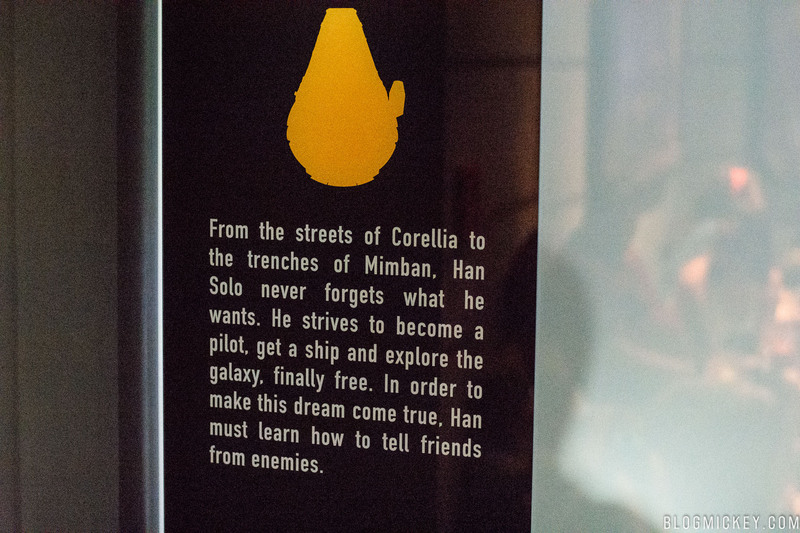 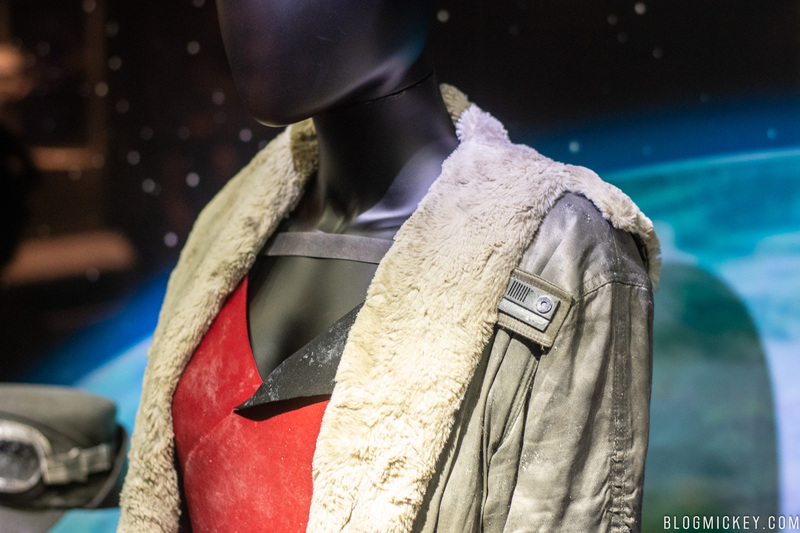 Speaking of Han Solo, his Corellia costume is on display here. 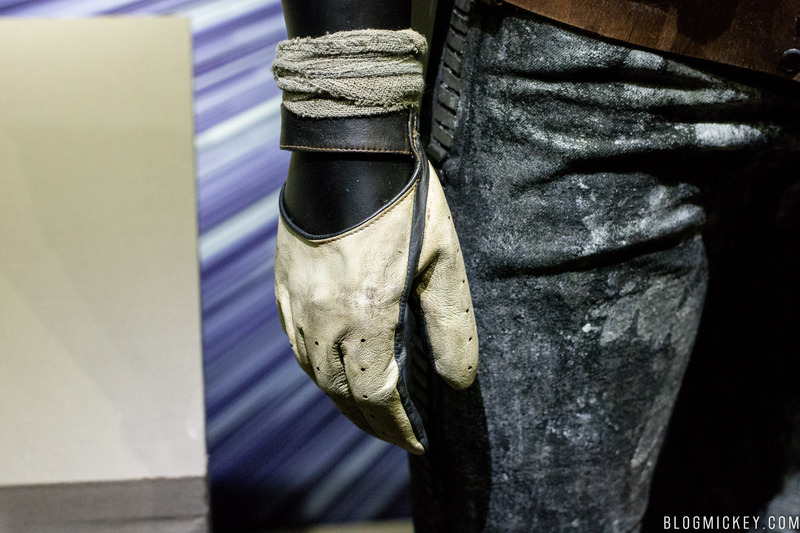 Showing obvious signs of wear and tear from the rough streets of Corellia, we also get a good look at his piloting gloves. 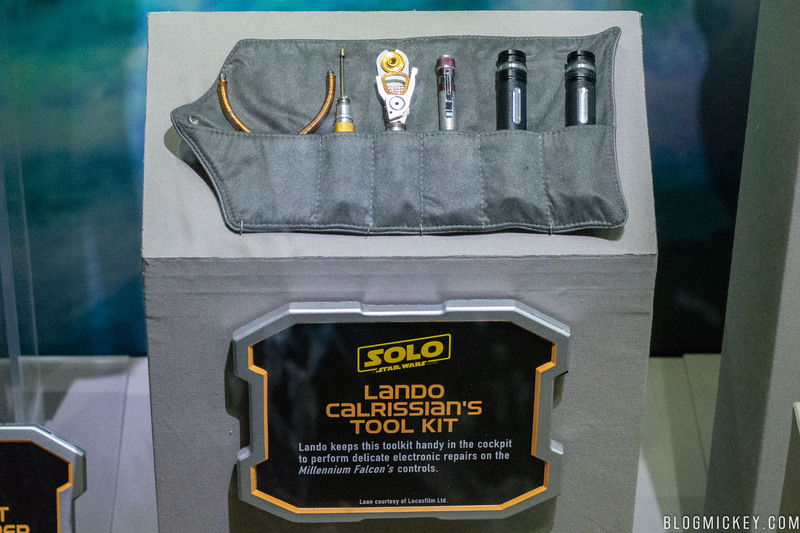 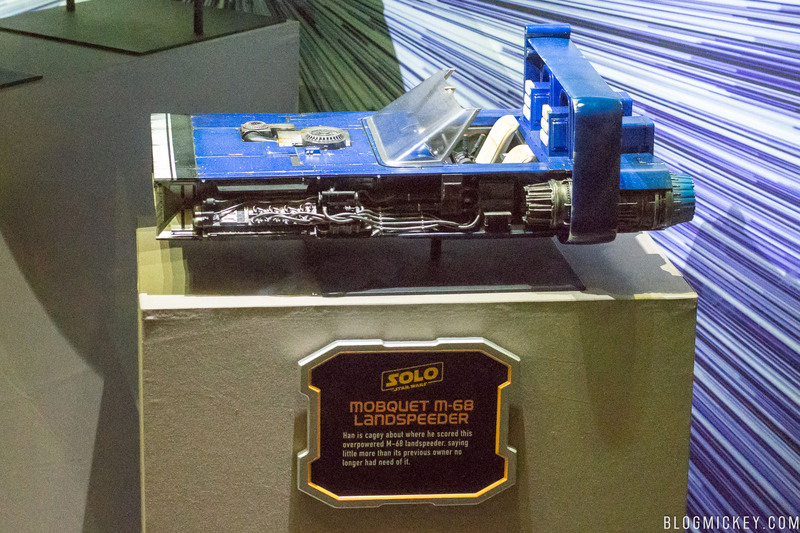 Moving on, we get a good look at Lando Calrissian’s Tool Kit. 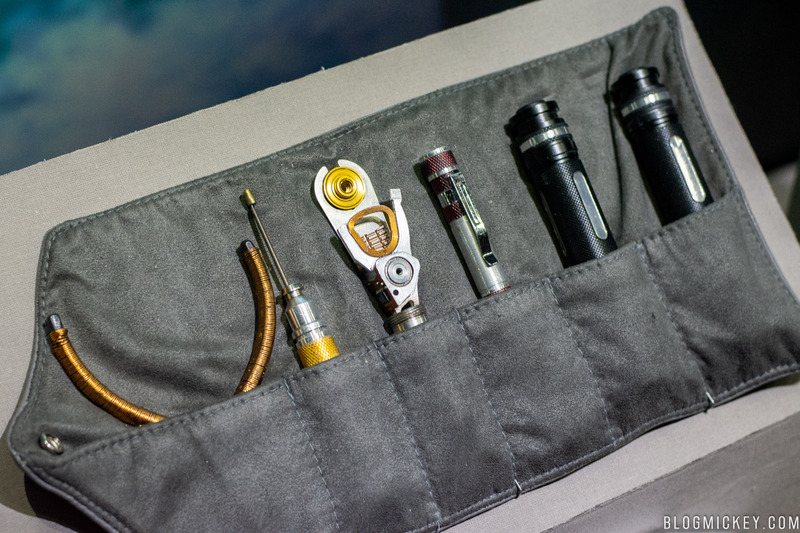 As you might expect from a Star Wars film, not everything goes to plan and we see Lando pulling out this toolkit in a time of need. 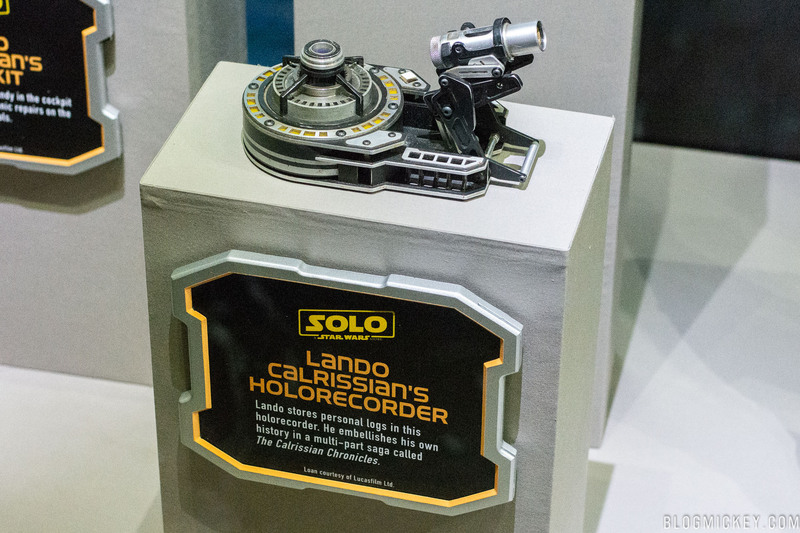 Keeping on the topic of Lando’s possessions, we also get to see his Holorecorder. 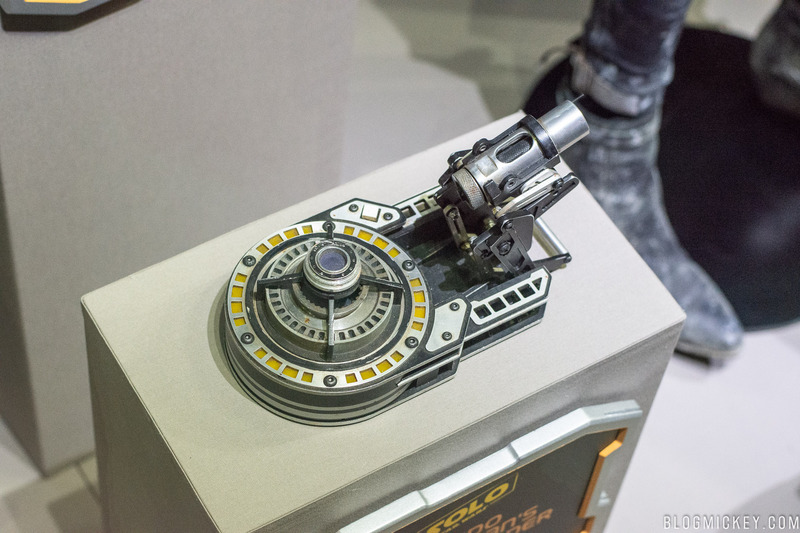 Last but not least, we come to Qi’ra. 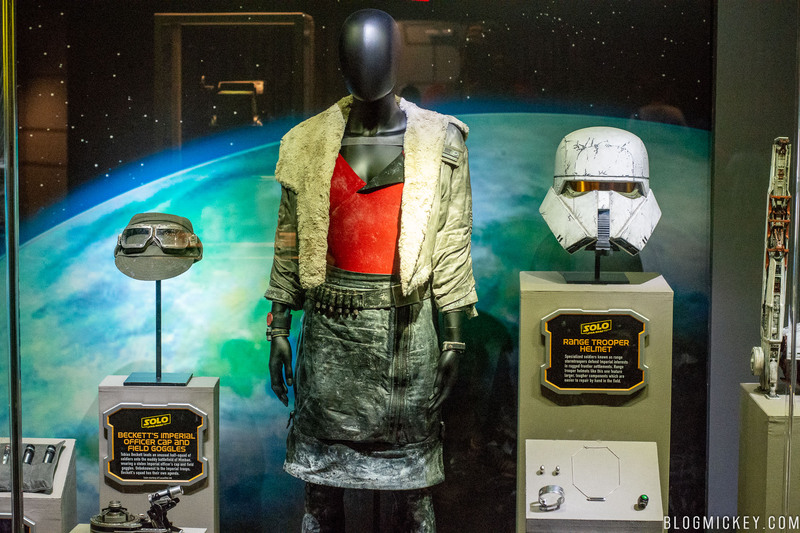 As someone close to Han, we first meet Qi’ra in Corellia, which is where her costume is from. 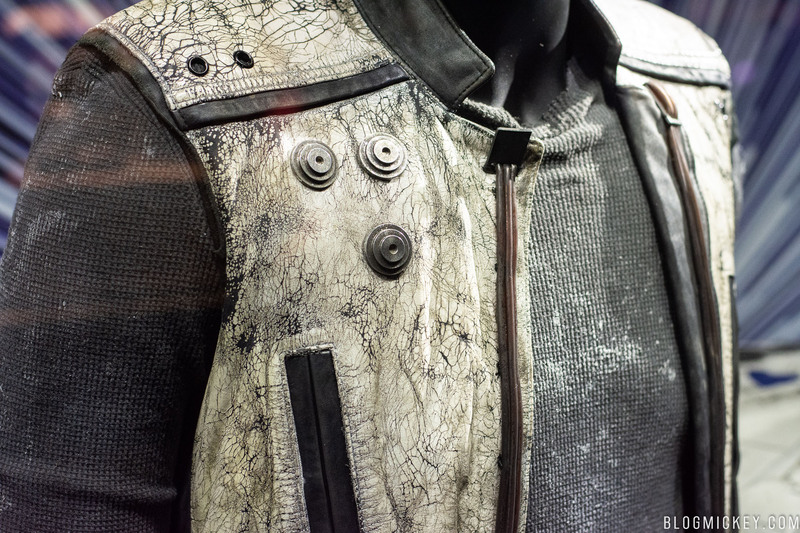 Just like Han, her costume shows the signs of wear and tear from the tough planet. 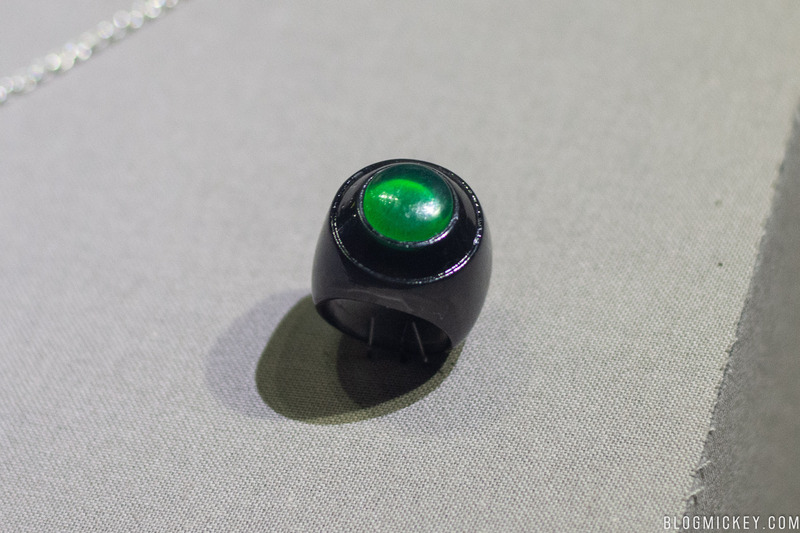 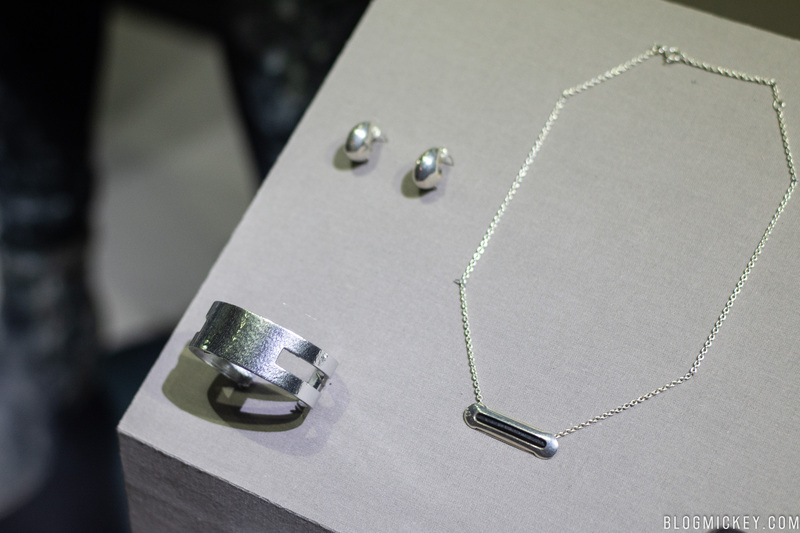 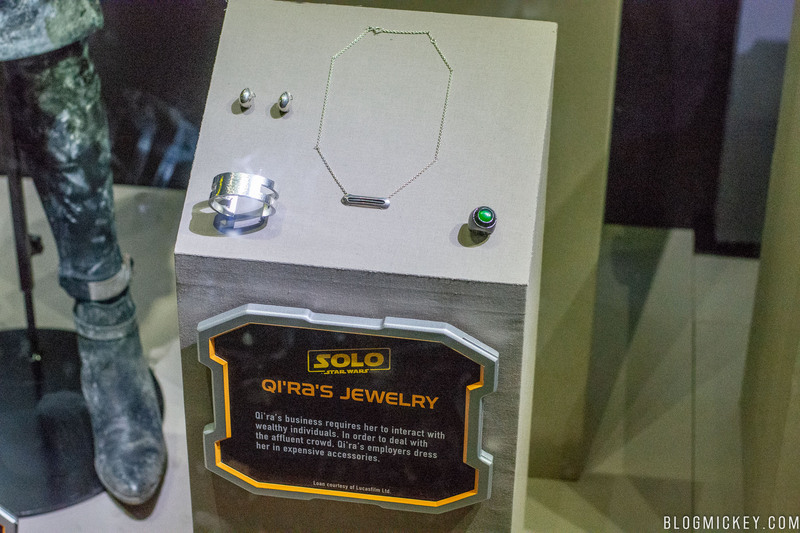 Just like we got to see some of Han’s personal effects, Qi’ra’s jewelry is on display. 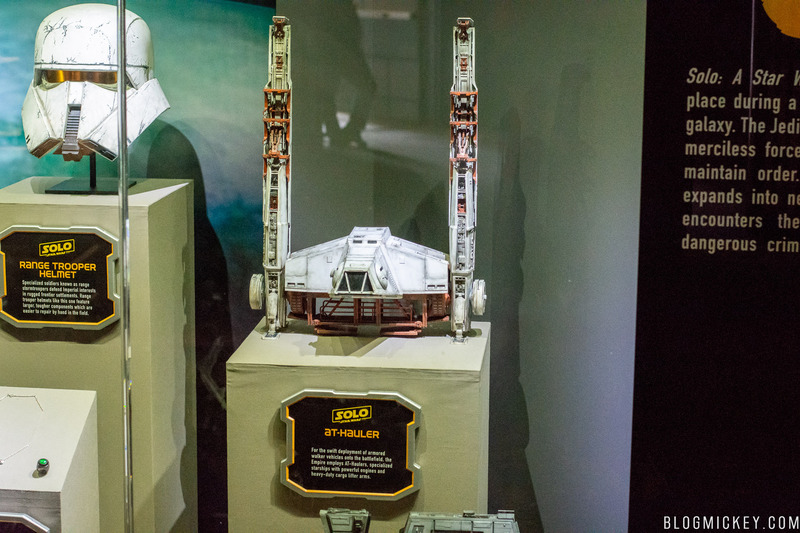 In addition to the above movie-used props, there also some replica props and models. 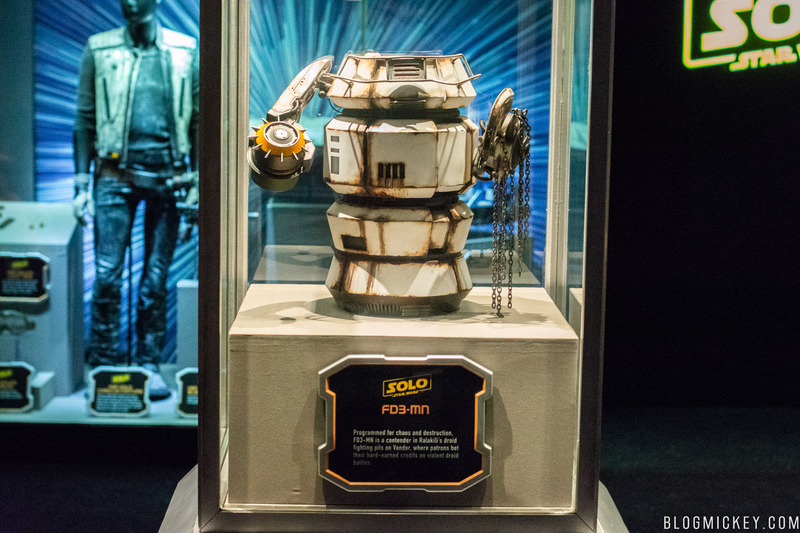 Two droids are on display from Ralakili’s droid fighting pits. 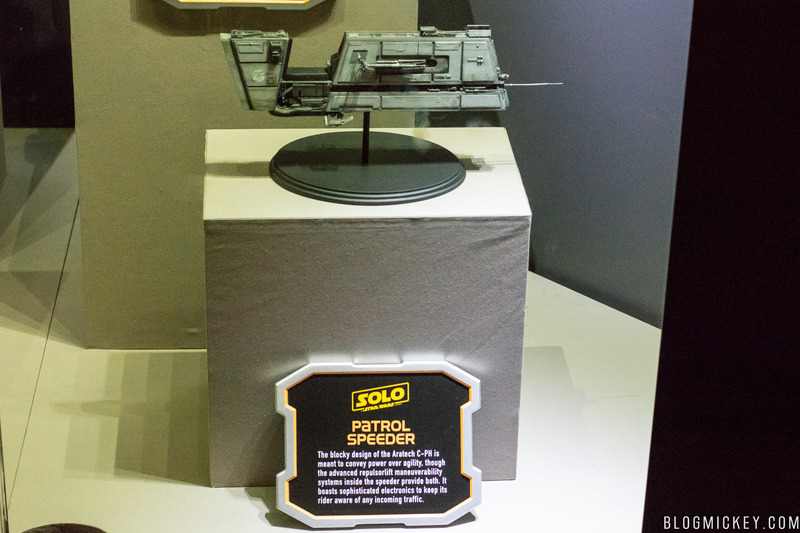 A look at some of the vehicles from Solo: A Star Wars Story. 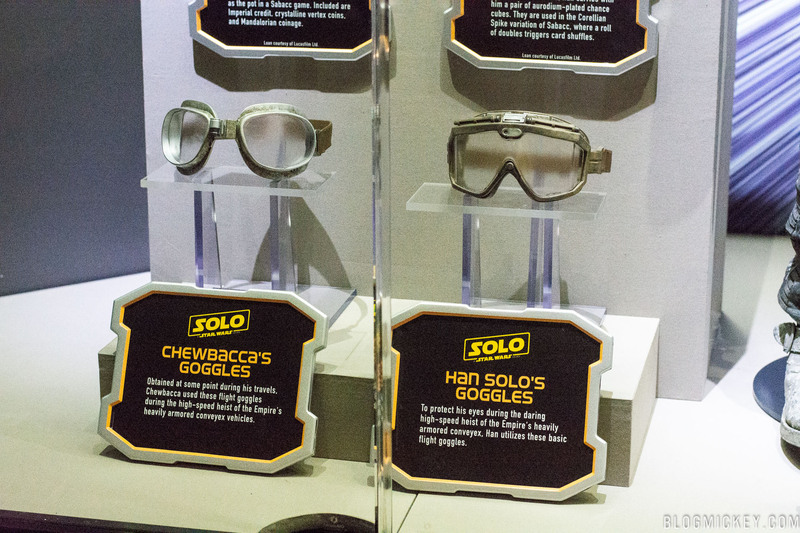 Goggles are a must for a high-speed heist for Chewbacca and Han. 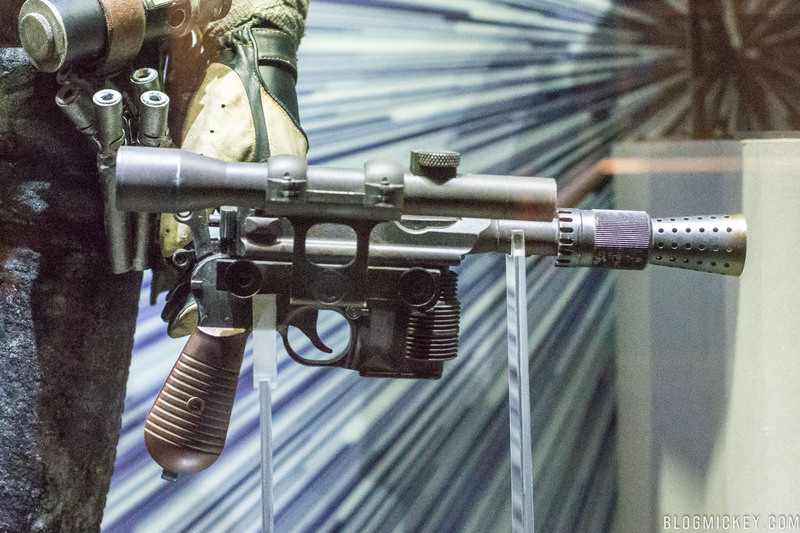 Han’s BlasTech DL-44 heavy blaster pistol. 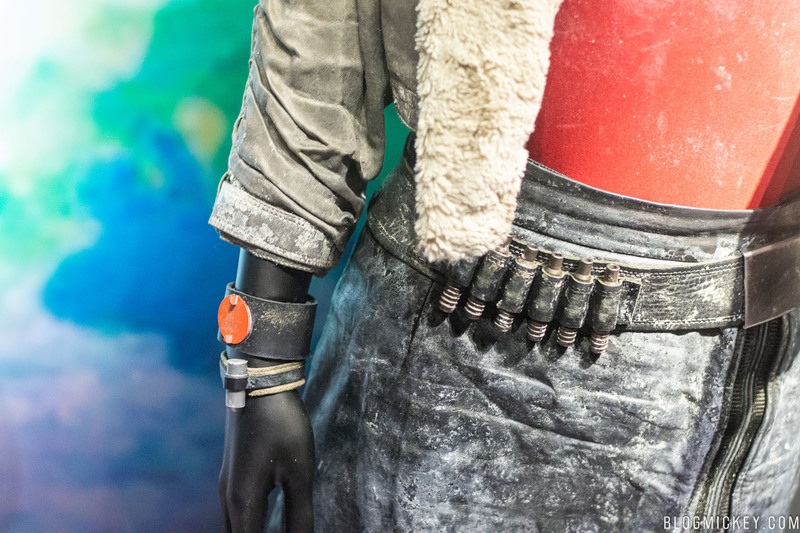 An Electroripper Staff used by Enfys Nest. 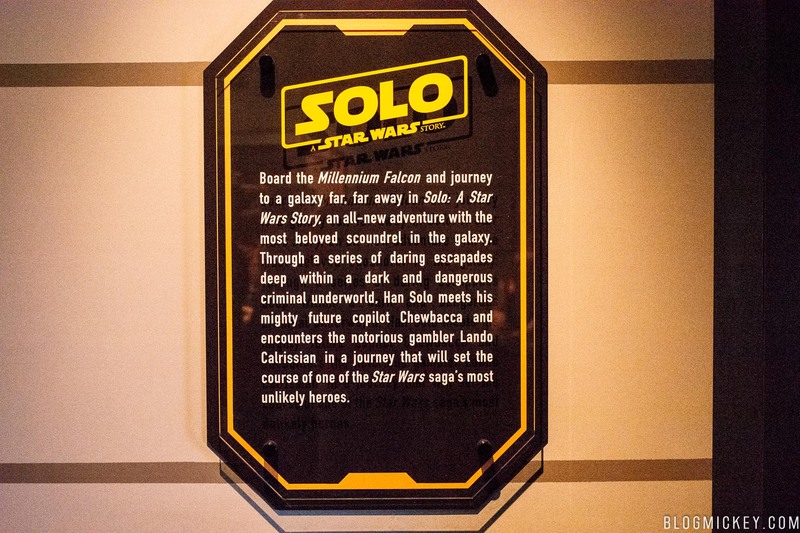 In addition to the props, there is some signage for Solo: A Star Wars Story.